This is the You.Are.The.One. Interactive Video. You'll be asked to make choices that will impact the story. 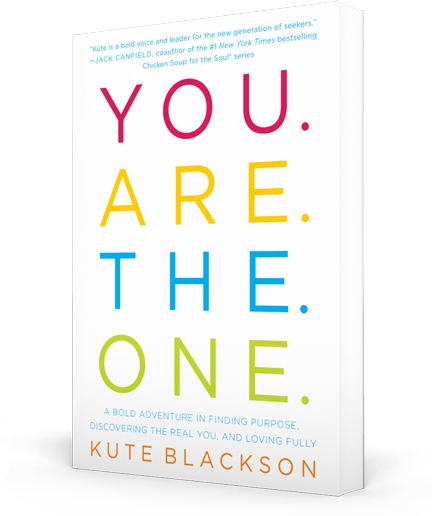 Order your copy of You.Are.The.One. to receive your free gifts today! Simply Follow These Two Steps to Claim Your Free Gifts! Complete the form below to receive your FREE gifts! What you will receive from You.Are.The.One. You.Are.The.One. is a unique book with a powerful message that will change your life. Kute Blackson will guide you on your own transformational journey and provide you with the tools needed to access your true power, live boldly and find real happiness and fulfillment. How to find your life's purpose and live it fully. How to forgive, find inner peace and be free. The keys to loving yourself fully and being deeply fulfilled no matter what. The real secret to manifesting your heart’s desires and living an extraordinary life. Begin your journey of transformation and self discovery today! "Kute Blackson is the real deal. His book You.Are.The.One. will take you on a profound journey of self-discovery, and powerfully guide you to step into your greatness. He reminds you of the innate power you possess. This book is a bold wake up call to living your destiny!" Copyright 2017 Kute Blackson. Book published by Simon & Schuster. Website by Fields Creative. Artwork in video by Jodi Fuchs.